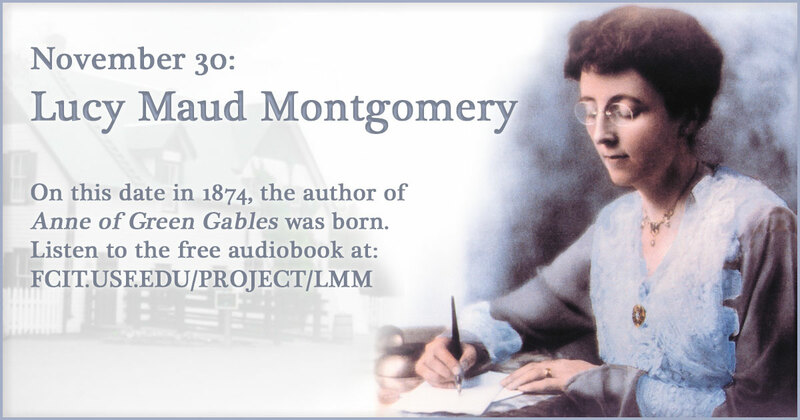 On this date in 1874, Lucy Maud Montgomery was born. She is remembered for writing Anne of Green Gables. 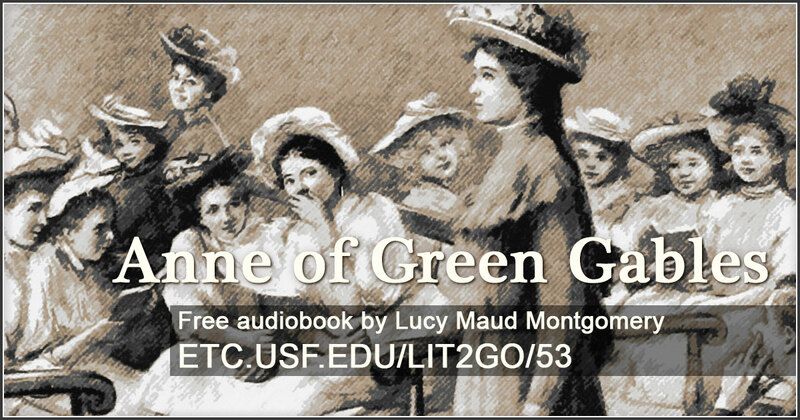 Share this banner on social media to celebrate the birthday of Lucy Maud Montgomery, author of Anne of Green Gables. Anne of Green Gables is a coming-of-age novel about Anne Shirley, the Cuthbert’s, and the community of Avonlea on Prince Edward Island. Listen to the free audiobook at the Lit2Go website. 38 chapters, reading level: 7.5. 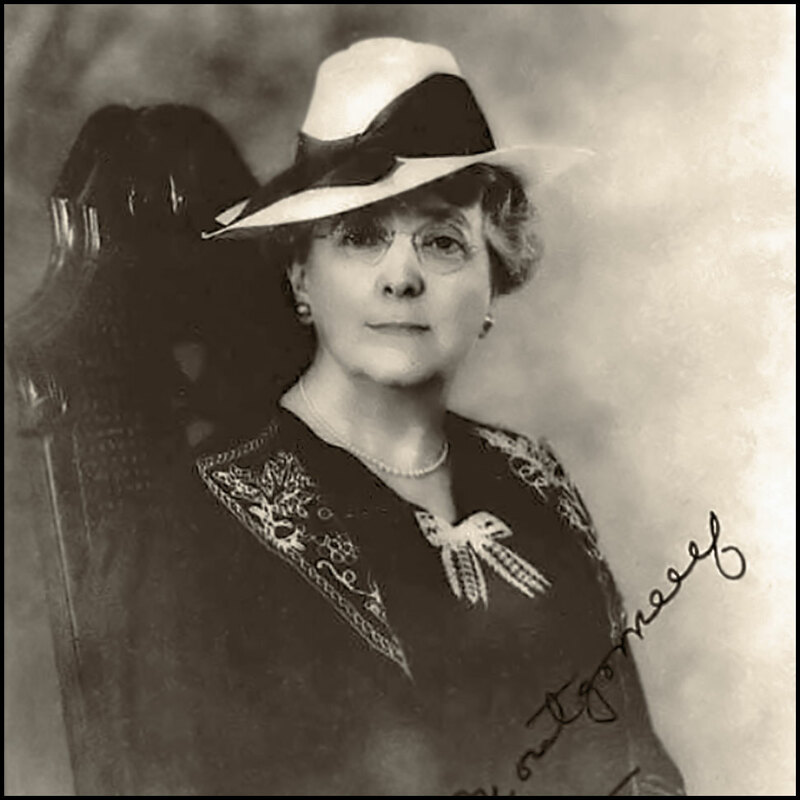 Edited, signed photograph of Lucy Maud Montgomery. 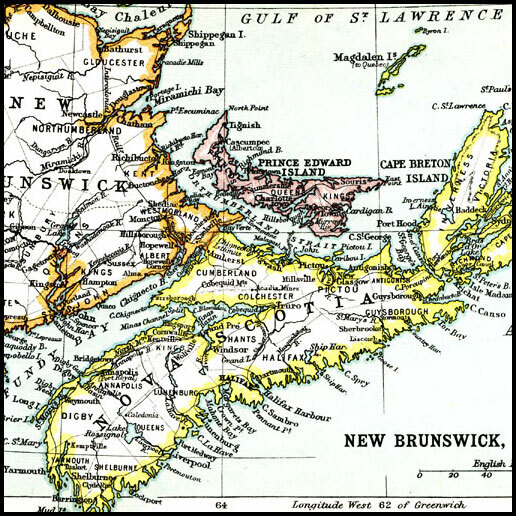 A map from 1911 of the Canadian Maritime Provinces including Prince Edward Island, the setting for Anne of Green Gables. Map from the Maps ETC website.